Cottage homes were not built for children alone. Other cottage homes were built for adults, generally elderly adults. It is important, when researching cottage homes in particular to establish whether you are looking for homes for children or homes for adults. 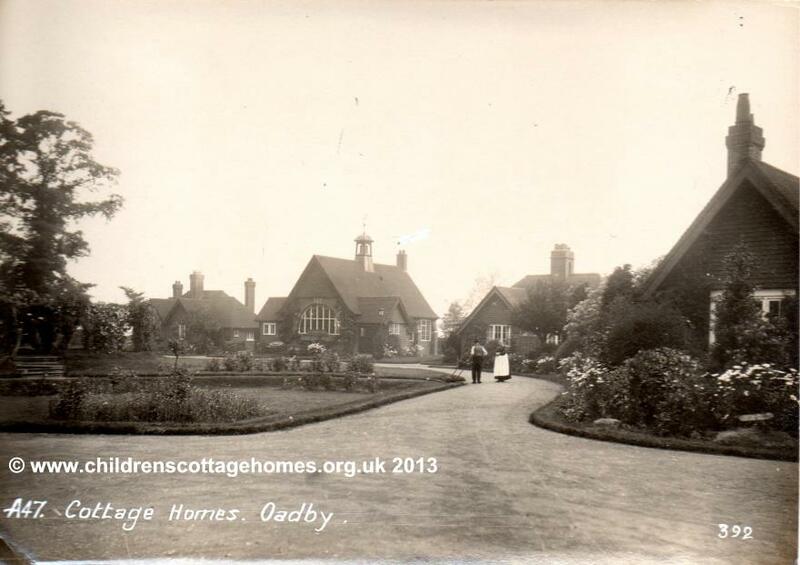 As the picture above of cottage homes for the elderly at Oadby illustrates, the cottage homes for adults generally looked very different to those for children. The buildings were smaller, generally only one storey, and the gardens were often more geared up for growing flowers than for providing playing areas. They are probably more closely akin to what we could almshouses that what we know as cottage homes for children. Many cottages homes for elderly people were built initially by trades associations - to look after those who had retired from particular professions such as those pictured above which were built by the The linen and woollen drapers’ association. 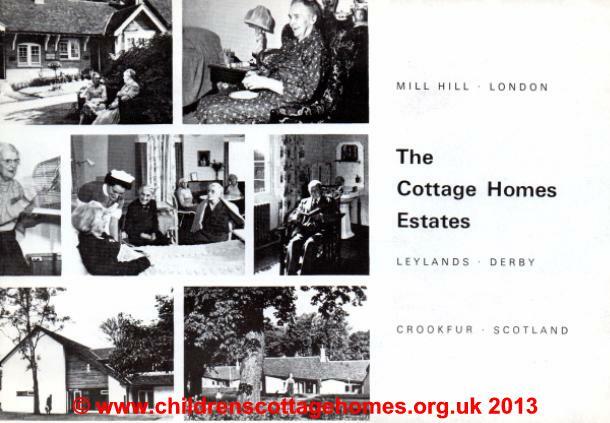 Their cottage homes at Mill Hill were opened 1897, Leylands in 1955 and Crookfur opened in 1967. This suggests a larger span than exists for children's cottage homes which were no longer built after the first decades of the twentieth century.